Excerpts of several episodes of 30 Minute Meals can now be viewed on the Food Network website, under the theme of Tex Mex and Southwestern Fun and Fresh Meal Ideas. 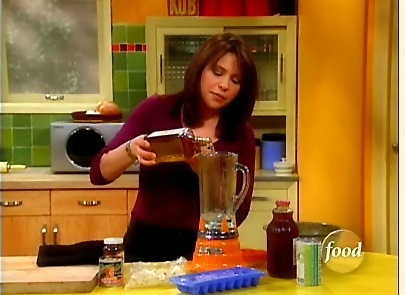 You can watch Rachael Ray prepare Wild Mushroom Quesadillas, Spicy Southwestern Chili, Jazzed Up Refried Beans, Frozen Cranberry Margaritas and Southwestern Corn Cakes. There are also handy links to the recipes. What will they think of next? I think I might try the Southwestern Chili recipe this week. I was shocked (and awed) to see there was a recipe there that I have never seen before, especially since you can tell by Rachael’s hair that these are old school 30 Minute Meals shows. Should I blame TiVo?